Numerous studies document adverse health effects of caregiving on individuals. In fact, taking care of themselves is probably the one piece of advice caregivers hear over and over again. Even with encouragement, caregivers continue to place themselves at risk of their health deteriorating as they care for their service member. As a professional who counsels with military caregivers we can share the health risks associated with caregiving to reinforce the need for them to care for themselves. Physical Health surfaces as a health issue for all caregivers and this study was no exception. All military caregivers experienced limitations to their physical health because of caregiving. 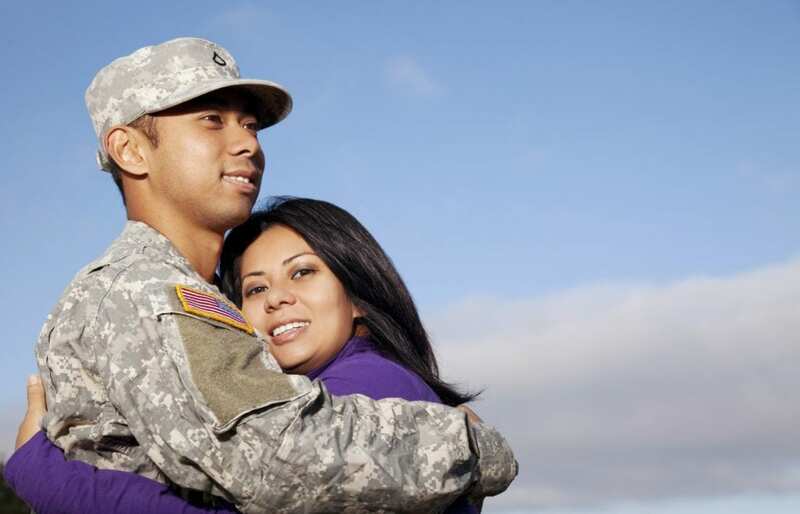 One-third to one-half of military caregivers reported not sleeping well. Twenty to thirty percent of the caregivers described having pain, aches and strain due to caregiving. When asked about their overall health 28% of post 9/11 caregivers shared they were extremely challenged by their own physical health, mental health, or well-being. Helping military caregivers stop and think about their own health may be the first time the caregiver begins to realize that they aren’t as healthy as they use to be. In fact, they may realize they are experiencing depression. Depression is probably one of the most studied health issues of caregivers with results documenting with certainty that caregivers experience more depression than non-caregivers. This study also concluded that depression is a health issue of military caregivers. In fact, they found that 40% of post-9/11 caregivers met criteria for probable major depressive disorder, which was four times higher than non-caregivers. Pre-9/-11 caregivers were twice as likely as civilian caregivers to experience depression. When the study factored in the caregivers’ sociodemographic characteristics post 9/11 caregivers were five times more likely to experience depression than non-caregivers. Individuals with depression are at risk of developing type II diabetes, Parkinson’s and coronary heart disease. These findings reinforce the need for professionals working with military caregivers to discuss depression, its warning signs and ways to address it. This study highlights that post 9/11 caregivers are younger than most caregivers. The caregiver role can cause stress for these individuals because becoming a caregiver wasn’t expected. Traditionally a caregiver is someone caring for an aging spouse or parent and is part of the aging process and not anticipated by younger individuals. Another factor is post 9/11 caregivers are caring for someone who is probably experiencing a mental health condition such as traumatic brain injury (TBI) or post-traumatic stress disorder (PTSD). Since they became a caregiver at a younger age they could spend the rest of their life providing care to their service member. These differences explain why post 9/11 military caregivers experience physical and mental health issues at a higher rate and often with more severity than other caregivers. Ask about the service member’s illness or disability. Different illnesses or disabilities require specific care and can be complex making caregiving more difficult. Caring for invisible wounds are challenging as there are more unknowns with them such as their triggers, recovering time, and the service member’s willingness to get help. When did the service member serve– pre or post 9/11? Remember post 9/11 caregivers reported being more challenged by their own physical health, mental health, or well-being. They are also at greater risk for anxiety and depression. Ask them to compare their health before they became a caregiver and now. Explore if they are having more headaches, pains, aches, shortness in reaction to people or situations, stomach issues, sleep issues, etc. This strategy may help them realize how being a caregiver has affected their own health. Provide a stress assessment or depression questionnaire for the caregiver to take. Discuss results of the assessment and explore options for next steps. I find having a tool they complete identify the possibility of depression is helpful as it’s the results of their responses to the questions not me suggesting they are depressed. Explain the high probability of risk for military caregivers for depression sometime in their caregiver journey. Since depression is an illness discuss it like you would cancer or other illnesses. If you suspect depression it’s imperative to get them to go to their physician. You may know of a physician who has worked with other military caregivers and by sharing the success of other military caregivers they might be more willing to make the appointment. Also discuss when they will call for an appointment and follow up to make sure they made the appointment and then went to the doctor. Discuss tasks that create most stress for them. Brainstorm for ways to have the task done by someone else or ways to make the tasks less stressful. This could even include not doing the task or teaching the service member to do the task. Develop a list together of things the caregiver likes to do as a way of reducing stress. Research has shown that a caregiver will feel more refreshed doing something they want to do rather than something they have to do. Encourage the caregiver to focus on what THEY want to do! Maybe going to a movie, having a glass of wine with a friend, taking a nap, reading a book, etc. Have the caregiver make a goal (write it down so they can take it home) for what they will do. They need to also identify when they will do it, where they will do it, and how often they will do it. An example would be: I will take a walk first thing in the morning on Monday, Wednesday, and Friday for fifteen minutes. This example may be too much for some caregivers so another goal could be: I will sit and do nothing for five minutes after I eat lunch on Monday and Friday. Start with goals the caregiver can accomplish so they are successful. By being successful they will be encouraged to make new goals on ways to care for themselves. Helping post 9/11 military caregivers explore, recognize, and then act on their individual health concerns will enable them to continue as a healthier caregiver. Ramchand, R., Tanielian, T., Fisher, M., Vughan, C., Trail, T., Epley, C. V., . . . Robinson, E. G.-D. (2014). Hidden Heroes, Americans Military Caregivers.Santa Monica: Rand Corporation. Next PostNext Ketogenic Diet: A Successful Weight Loss Diet?